I wanted to share with you an amazing event that the fabulous Alissa from the blog Stylish Curves is having and also hosting, it's called The Stylish Curves Pop-Up Shop. 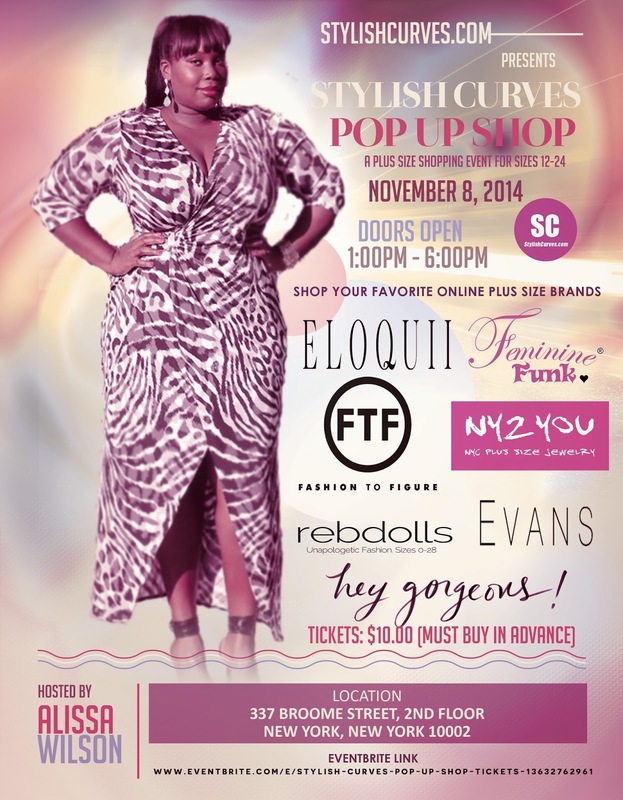 It's a plus size shopping event consisting of some of my fav online brands. The event will give you the opportunity to shop your favorite brands, see their pieces (new and past seasons merchandise) and try them on! The event will feature online brands such as Eloquii,Rebdolls, Fashion to Figure, Evans, Feminine Funk Tees, Hey Gorgeous, and plus size jewelry brand NY2YOU. There will be giveaways and refreshments at the event, door open at 1pm-6pm. Hope to see to you there and spread the word! This is going to be a great event, you don't want to miss it!